Six Life Lessons Learned on the Farm. One of the best parts of living on a farm is the fact that every day presents an opportunity to learn something new. Sometimes its simple things. Like, don’t leave your boots outside when it’s cold. That way when you take a midnight trek to the barn to check critters, your boots are nice and warm. Sometimes the lessons are big ones. You know the kind. They end up sticking with you and a few days or years down the road you end up realizing those are life lessons. If I tried to share everything I’ve learned from my time spent on the farm this post would be SO long, like Webster dictionary long. And who’s got time for that? Certainly not us. So below are the 6 life lessons from the farm that have really stuck with me. These are the big ones. No tips on what veggies you need to plant in this list, although if you are interested, 5 Easy Summer Veggies… is a great post for that. I hope by sharing these lessons with you, you can create your own Farm Life made Easy. A good rule of thumb no matter your situation. Living on a farm means working on a farm and when you add in a regular 8-5 job, kids, relatives, keeping a household and all the extracurricular activities that come with being a modern family, life gets crazy. Like soup sandwich level of crazy. Simplifying by any means possible and wherever you can will only make life that much easier. In the interest of living a simpler lifestyle, minimize as much as possible. Let me say that again, MINIMIZE AS MUCH AS POSSIBLE. This includes things like tchotchkes but more importantly things like debt. Minimize it. You’ll be glad you did. There is no perfect setup, perfect time or perfect situation. Especially on the farm. Learn to work with what you have on hand; be it acreage, tools, or other resources. Make the most of the resources you have on hand. If you wait for the opportune moment you may find that the seasons and life have passed you by. Make a start with what you have available. Even if it’s not perfect, even if you fail, at least you started. Farming, on any scale, involves work and time. And, I may be a little nuts here but if an investment of time and effort is required it should be on something you enjoy doing or working with. Hate rutabagas? Don’t grow them. Find the things you love and find ways to work within those. It is better to do an awesome job at a few things than a mediocre job at many things. Find ways to develop the things you love doing into a niche market. For example: fresh cut flowers delivered to local restaurants or fresh honey to local apothecaries. Of course, working with the things you love doesn’t mean life is going to be sunshine and roses all the time. It is a farm after all. There’s likely to be more mud and other non-sweet-smelling stuff, even if you are growing roses. But when you love what you do and your end product, the work sure seems a lot easier. Here at Fainting Fox Farm, we will NEVER grow sweet potatoes. Ever. What about you? Is there something you would never grow or raise? No one likes to fail. But on a farm, failure is an almost daily part of life. Learn to take each failure as an opportunity to grow and learn. I fail all the time. Sometimes the failures are small and easily gotten over. Like the year we planted 2 100-yard rows of beans by hand in the middle of a 20-acre plot. And then it rained; for forever. The field was so muddy we couldn’t get to the rows to weed. So, the grass took over everything. That sucked. But in one of our valiant efforts to save the grass-beleaguered beans we spent a day getting the truck, the tractor and our boots stuck in knee-deep mud. We laughed, shoved and spent the day generally making a mess, of everything. Fun was had by all, except the beans. A lesson was learned and the next year the beans were planted near a turn row. Sometimes the failures make you want to give up and walk away from the whole shebang. Like the time I couldn’t save the farm kid’s pet goat. That was rough. At that moment I would have given the farm away just to save farm kid that pain. But life has a way of moving on and dragging you along with it. Especially on a farm. You can read more on that in the post Losing Grace – Coping with Loss on the Farm. Find ways to cope with the failures as they happen. Just don’t let them stop you. Learn from your mistakes and move forward. Small, reasonable goals sound great. But nobody starts a story for the rising action, we all want the big finale. This may sound a little crazy especially when it is so easy to go overboard and spend way too much time and money on something that may or may not pan out. But just because you set a big goal, doesn’t mean you have to make it happen all at once. The big goals should be your target. The things you dream about and want to make happen no matter what. For me, that is generating a full-time income that supports our family solely from farm operations. That is a BIG, HUGE, TREMENDOUS goal for us. It won’t happen all at once or even this year or next. But every year we make changes and set smaller doable goals that will ultimately get us to the BIG GOAL. Maybe your big goal is to retire to the farm as well, maybe it’s to provide 100% of your fruits and veggies from your own garden or maybe it’s to get started gardening. Whatever it is, set big goals that inspire you. Use smaller, more reasonable goals to create actionable steps and to keep you on track. Just remember rule # 4. This one is so hard for me. I am always looking for ways to cut costs. Especially when it comes to fencing and outbuildings. I think because fencing and barns or shelters usually have the most up-front cost associated with them I am notorious for finding ways to make do. But going cheap on building materials just means that you are going to wind up replacing or fixing down the road. And around our place it also usually means that the cheap, ‘temporary’ fix winds up sticking around until it falls down. Being cheap when it comes to equipment often just increases your labor costs. And yes, your labor has a cost and you should be aware of its value. A good example of this is setting fence. We set and stretch our own fences. We are pretty good at it after so many years and we are efficient. Putting up our own fences saves us a ton of money over paying a fencing contractor. But, we use a tractor and an augur to drill and set posts. Buying a tractor and augur are a big expense. But because the tractor has multiple uses on the farm and because the auger has saved us from digging many hundreds of post holes by hand and from hiring outside labor it has saved us a ton of money and time. Another area to be extremely cautious of both free and cheap is livestock. Good livestock is both valuable and expensive. If someone is offering you free or extremely cheap livestock there may be a reason why. Be cautious and buyer beware. On a farm, we are always looking for ways to save money. But sometimes doing things cheaply just costs you more in the long run. Take time to evaluate immediate need versus long time value. And be wary of too good to be true deals. Farming, at any scale, is an amazing opportunity to learn and grow as you go. But sometimes lessons are costly, and it is easy to get discouraged when you find yourself amid yet another failure. We all do it. But hopefully these lessons I’ve learned the hard way will help you avoid the mistakes I’ve made. And if not, just remember lesson 4. What about you? Can you share any lessons that you’ve learned in your own farming endeavors? Comment or email and let me know. 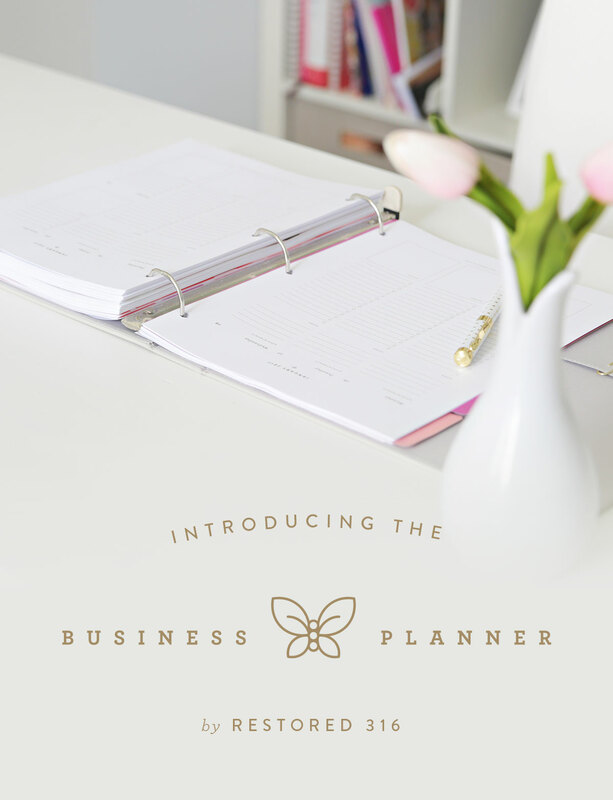 Helpful Hint – Are you struggling with the idea of setting big goals? This was a hard one for me too. Check out this post on The Magic of Thinking Big by Ruth Soukup at Living Well Spending Less. 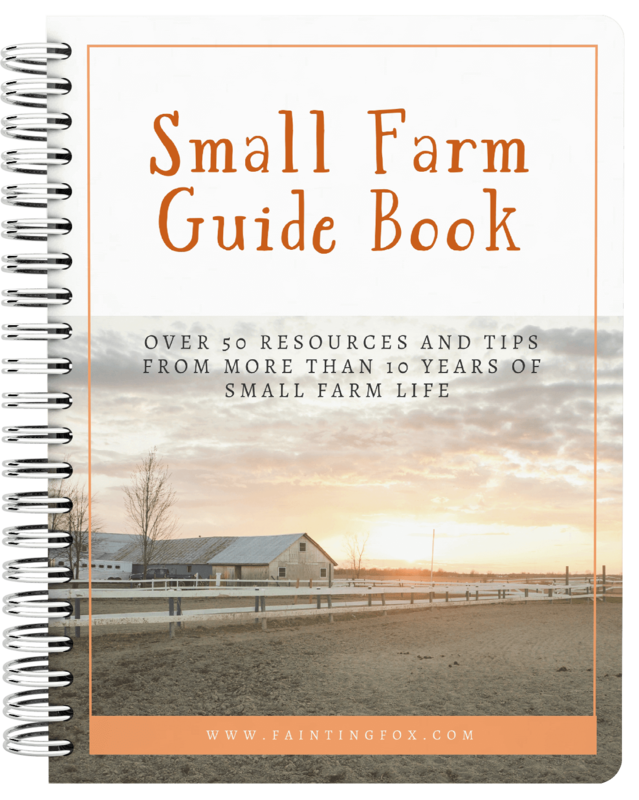 Want these Six Lessons Learned from the Farm and tons of other tips and tricks in a quick and easy to reference printable? 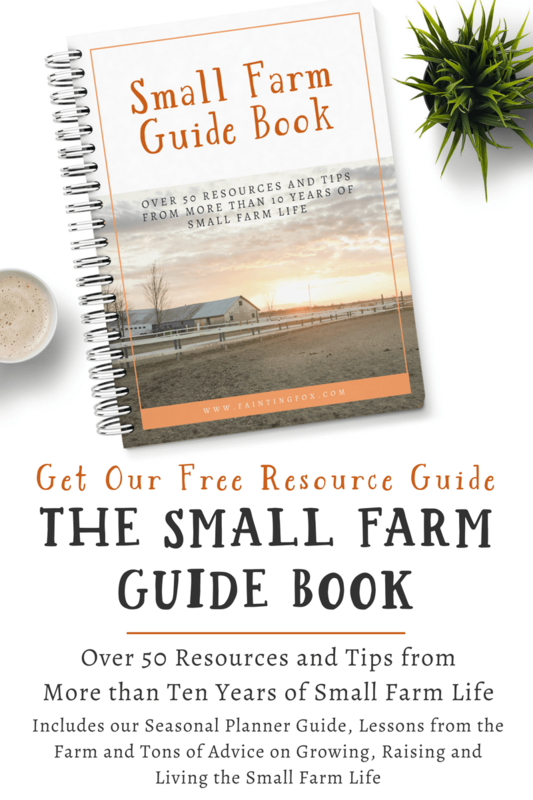 Click the link below and get the Free Small Farm Guide Book.